Before the invitation of printing machine, people speared news by word of mouth, written letters or public notice. 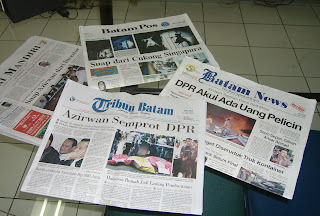 As more people learn to read and write, people began to think about the need of written news report. Ancient Rome had a particular sophisticated system for circulating written news. It is called ACTA DIURNA (daily events) handwritten news sheets posted by the government in the public marketplace from the year 59 BC* to at least 222 AD*. 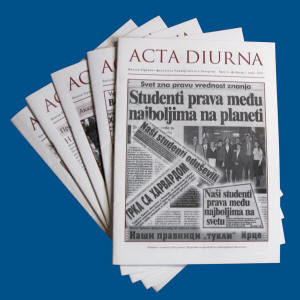 ACTA DIURNA announced news of politics, trials, scandals, military campaigners and execution. In China, early government produced news sheets, called TIPAO, circulate among court officials during the Had Dynasty (202 BC – 202 AD). At some point during the Tang Dynasty (618-907), the Chinese used carved wooden blocks to print TIPAO, making them the first printed newspaper in history. A printing machine was firstly developed in Europe in 1950 and European officials soon began using it to publish news. Short pamphlets, called news book, in formed the public of royal wedding, victorious battles or other news worthy events. News Ballads recounted news in Europe and the American colonies when officials wanted to inform the public of important events. Newspaper published under the same name on a regular schedule first appeared a Venice, Italy, in he 16th century. Handwritten newspaper called avisi or gazettes, appeared weekly as early as 1566.they reported news about wars and politics in other parts of Italy and Europe. Venetian gazettes establish a style of journalism that most early printed newspaper followed. Newspapers speared rapidly through out Europe. One page weeklies appeared in Base;, Switzerland, by 1610, in Frank-furt, Germany and Vienna, Austria by 1615, in Hamburg, Germany by 1616, in Berlin, Germany by 1617 and Amsterdam, The Netherlands by 1618. the first Newspaper printed in England appeared in 1621 and France produced a newspaper in 1631. the first continuously publish English newspaper was the Weekly news, published from 1622 to 1641. Early English newspaper were generally printed in one of two formats : in the style of the Dutch paper or in the style of the early German weeklies. 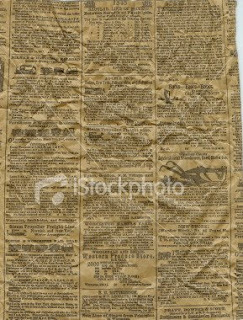 Dutch style papers compressed news stories onto four or fewere pages, while news in German style weeklies covered up to 24 pages. English published first used the Dutch style but switched to the Germany style by 1622. English newspaper were among the first in the world to used headlines to attract readers. English newspaper also set new business standards. They hired women as reporters, printed advertisements as a source of revenue and paid newsboys or more commonly newsgirls, to sell papers in the streets. Newspaper, including those printed in English, had strong influences on society and they had been used to spread opinions that were offensive to authorities. Because of this, newspaper faced censorship and tight regulation through much of the 17th century. This resulted in many changes on their style.